You may have caught it in passing on a news ticker or blog, but have no clue what or where on Earth are the Spratly islands. But you hear they are contested islands some defense experts think potentially could spark the start of a regional war. 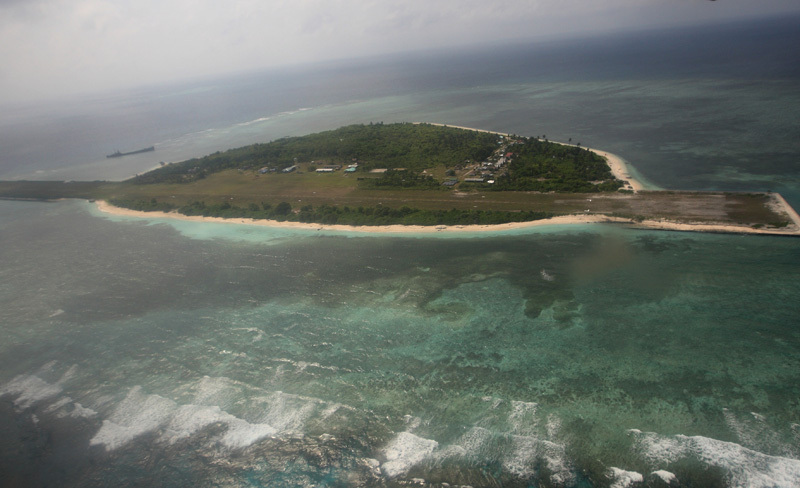 The archipelago is comprised of small atolls, reefs, islets and outcroppings in the South China Sea, west of the Philippines and spread across a large area but claimed by the Philippines, China, Vietnam, Taiwan and Malaysia. The islands, which range in size from small to tiny, are in a prime fishing region and sit atop what’s believed to be vast reserves of oil and natural gas. It’s no surprise numerous disputes flare up between nations that stake claim on the islands and nearby waters, a well-trafficked route for commercial ships and military vessels. “The worry, among others that I have, is that the ongoing incidents could spark a miscalculation, and an outbreak that no one anticipated,” Joint Chiefs of Staff Chairman Adm. Mike Mullen told reporters in Beijing during his China visit earlier this month. The Spratlys were among the hot topics at a regional security conference in Bali just this week. Something to think about during those long days at sea.